The IAFF Center of Excellence offers a range of programs for the treatment of substance use disorders as well as co-occurring behavioral health issues. Treatment is evidence-based, which means our methods have been proven effective through research and scientific inquiry. Our multidisciplinary approach — combining the expertise of doctors, nurses and clinicians from different disciplines — means we treat the whole person, not just the addiction or co-occurring disorder. While many fire fighters worry that seeking treatment is a sign of weakness, the truth is that reaching out is a sign of resilience. There is strength in numbers and in knowing that you are not alone. The Center is available only to IAFF members, and our staff offers specialized treatment unique to your experience. If you are battling post-traumatic stress disorder (PTSD), depression or anxiety, or addiction alongside a behavioral health issue, treatment at a dedicated center may be your best path to a better life. Because behavioral health issues involve biological, behavioral and social components, treatment for these complex issues must address the whole person, including any addictions that may be present. According to the Substance Abuse and Mental Health Services Administration (SAMHSA), those with co-occurring disorders are best served through an integrated treatment model — an approach that combines substance abuse and behavioral health services. Clinically Managed Detox: Members undergo a 24-hour assisted detox program to stabilize acute withdrawal symptoms and rid the body of alcohol, drugs and other toxins. Inpatient Residential: Members live at the Center while participating in a recovery program with 24-hour monitoring by a dedicated nursing staff. Partial Hospitalization: Members attend all day treatment at the Center six days a week and return to on-site living quarters in the evening. Clients still have access to staff 24 hours a day. Intensive Outpatient: Members attend treatment three to six days a week, and return to on-site living quarters in the evening. Aftercare Planning: A treatment team helps members develop a relapse prevention and aftercare plan to follow after they are discharged from the Center. 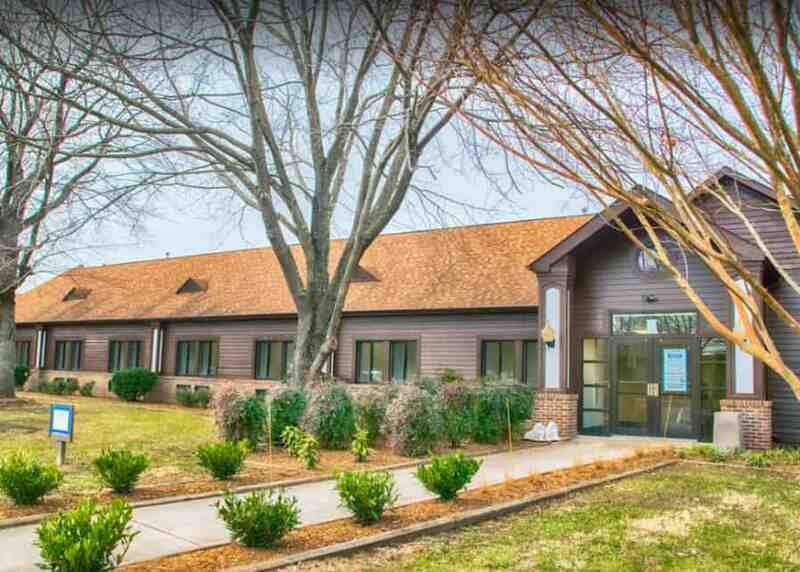 This plan typically connects members to continued outpatient substance use care, mental health treatment or weekly recovery meetings in the their local community. It may also involve periodic voluntary check-ins with the member’s treatment provider at the IAFF Center of Excellence. During your stay at the IAFF Center of Excellence, you’ll meet with your therapist at least once a week. Together you’ll discuss your goals and intentions, and meet weekly for group and individual therapy. These sessions allow you to discuss your recovery process and talk with others on the same journey. Your schedule will revolve around your recovery needs. This may involve gym sessions, education classes — such as “Setting Yourself Up for Success” — yoga and resilience training. You’ll also have time for reading, reflection, journaling and even a pick-up game of basketball — all essential parts of your healing process. When necessary, doctors and clinicians can create a medication plan that helps manage symptoms of withdrawal and co-occurring mental health issues. This process is always supervised by a licensed medical professional. One-on-one sessions with a psychologist, psychiatrist or psychotherapist help members modify unhelpful attitudes and behaviors contributing to symptoms. Cognitive behavioral therapy also teaches practical coping tactics for continued recovery and may focus on nutrition. Led by a licensed mental health care provider, group therapy sessions help members hear different perspectives, learn new coping strategies and realize they’re not alone. Building bonds between peers in the same struggle can create valuable support in recovery. Integrated treatment can help you get back to the life you want to live and the career you love. One in five fire fighters will struggle from behavioral health issues at some point in their careers. Left untreated, these issues can have serious consequences for their families and career. The IAFF Center of Excellence can help you deal with your post-traumatic stress disorder (PTSD), anxiety, depression and addiction in healthy ways that will enrich your life and increase the likelihood of long-term recovery. What happens after treatment is just as important as your time at the IAFF Center of Excellence. The purpose of aftercare is to solidify what was learned and accomplished during your day and to help you fully transition into a healthier life. The IAFF Center of Excellence works with you to develop a plan for continued treatment and support once you leave the Center. You are encouraged to participate in outpatient therapy and support groups as well as our alumni mentoring program. During aftercare, you’ll learn a wide range of coping skills to help when you return home, including how to manage life back on the job. You’ll also meet with your clinicians, continue progress in group therapy, and gather additional tools to help prevent relapse. Family and spouses may also be integrated into aftercare through couples and family therapy. We can help. Call today to learn more.